The news was bleak for some casinos regarding May gaming revenue, but Paradise Company reported their revenue bounced back after lower numbers in the first quarter. 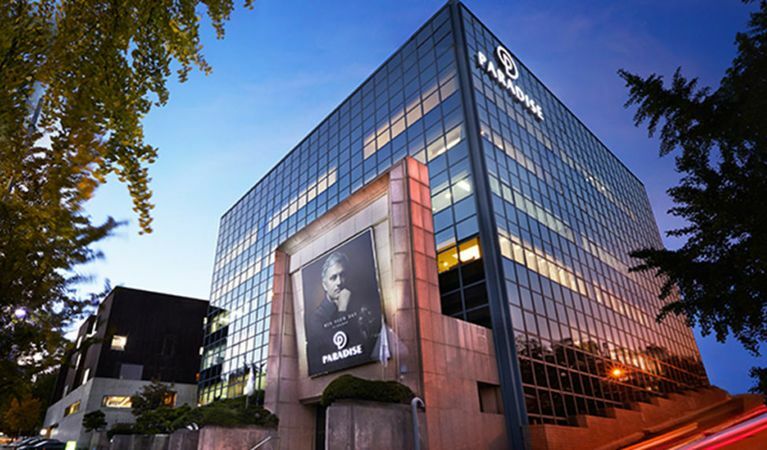 Paradise Company is the foreigner-only casino operator in South Korea. In recent months, the company has not reported earnings, but losses. However, its recent report to the Korean Stock Exchange shows the company is back. Paradise Company has a new record for their success in May. The casino revenue was $48.5 million for May 2018, which was up from May of 2017. Last year they only made $38.63 million. The details show Paradise made a 25 percent increase in their revenue for May. The casino operator stated they recovered from a small financial slip in the last month, surging 36 percent from April through the end of May. The company believes May’s results are higher from table game revenue and machine revenue. According to the breakdown, table income was 22 percent higher over last year, making $44.23 million. Machine income went up 74.6 percent or $4.12 million. The total brought the revenue up in the first five months to $222.26 million, which is 16.6 percent higher than in the same five months of 2017. Table revenue from January to May 31, 2018, rose by 5.8 percent overall to earn $205.56 million with a year-on-year comparison. Machine income was up 28.2 percent in the first five months with a record $16.7 million earned. The table drop or cash amount that customers are exchanging for chips increased 17.9 percent to $2.13 billion. Paradise collated their results from the four foreigners-only casinos that are also in South Korea. Walkerhill, located in Seoul, Jeju Grand, on Jeju Island, and Busan Casino in Busan all reported decent income results for 2018. Paradise City is in Incheon, which is the main international airport for South Korea. Paradise stated the net income for three months dropped, this was the first quarter results. The drop was 31 percent to $2.88 million overall, when last year the earnings showed $4.68 million. It may be the Olympics in February took away players who would normally be gambling. Paradise stated it was also the fifth consecutive quarter for the net income to drop since 2017’s first quarter. The good news is the company’s second quarter is bouncing back with record-breaking individual income results, so the net income should spike for the second quarter.